Harbor Commission also updated on status of dredging and eelgrass permitting. NEWPORT BEACH ― Large yachts are no strangers to Newport Beach’s harbor, as evidenced by the recent five-year residency of a 100-foot catamaran Cheyenne and frequent visitations by the 215-foot superyacht Invictus. 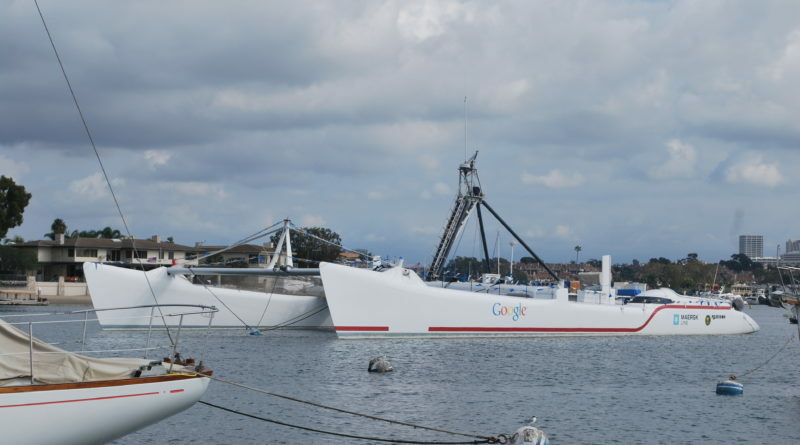 Those mega-vessels may have to pay the city of Newport Beach a little extra money to drop anchor within the harbor, according to a recent discussion by the local Harbor Commission. Imposing an anchorage fee on superyachts visiting Newport Beach Harbor was one of several topics broached at the Harbor Commission’s July 12 meeting here at City Hall; commissioners were also updated on the status of Newport Beach’s Regional General Permit 54 (RGP-54), which allows for residents and local businesses to perform near-shore dredging. Establishing a fee for temporary anchorage of superyachts could soon be a reality. Invictus, for example, might be required to pay the city a fee every time she is parked in the harbor for days at a time. An anchorage fee might have been a useful tool to manage Cheyenne’s tenure in the harbor, as well. Cheyenne owner Chris Welsh kept his 100-foot catamaran, which he intended to use as a research vessel, in Newport Beach Harbor for five years without paying the city any fees. Superyachts have a couple areas of open water – one on the eastern edge of the second public anchorage near Lido Isle – to drop anchor. Newport Beach currently charges superyachts an annual mooring permit fee, prorated on a daily basis. The offshore mooring fee is currently $35.43 per foot per year, and the current fee to a vessel around 200 feet long can range between $17 to $21 per day for temporary mooring. Commissioner David Girling said the anchorage fee must take into account what is being offered to boaters and work being put in by city staff to manage superyacht anchorages. A docking fee for a superyacht in other harbors can be as high as $3,500 per night (the rate in Monte Carlo), Girling said (though not suggesting Newport Beach assess an anchorage fee in the same neighborhood). Girling suggested the Harbor Commission look into what other harbors charge. Harbor Resources Manager Chris Miller said the Finance Committee recommends the Harbor Commission Ad Hoc Committee provide a fee recommendation by September. The city’s Finance Committee could then include the recommendation in the fall fee schedule to be considered by the City Council in early 2018. While the Harbor Commission’s Ad Hoc Committee researches what other harbors charge along the California coast, Miller said he can work on getting the permit for a permanent seasonal anchorage at the same time. Harbor Commission Chair William Kenney and Commissioner Duncan McIntosh sit on the Ad Hoc Committee. Meanwhile eelgrass in Newport Beach Harbor continues to grow and expand – which has an effect on the city’s dredging activities. Newport Beach is unique in being the only California municipality to permit commercial businesses and residents to perform near-shore dredging through its RGP-54 program. “Each individual project can dredge up to 8,000 cubic yards,” Miller explained. “That is an improvement over the past 30 years. “This is a good thing, because sailboat keels are longer or deeper than they were 30 years ago,” Miller continued. More than 47 dredging applications were processed in Newport Beach last year, Miller reported. The maximum one-acre of eelgrass has already been impacted this year with 19 applications, according to Miller, which means no further eelgrass can be affected by dredging this year; dredging would still be permitted wherever there is no eelgrass. “Properties that have no impact are still able to apply [for RGP-54 to dredge],” Miller wrote in an email to The Log. Testing sediment is required every five years, and is currently being conducted. Surveying eelgrass is done every two years. The next eelgrass survey is scheduled for summer 2018 and “should take about six months or so, with about three months of diving,” according to Miller. Those residential or commercial property owners with eelgrass can apply for dredging in 2018. “The annual timeframe for calculating eelgrass impacts restarts every calendar year,” Miller clarified.